Add all of the ingredients listed above to a small sauce pot and cook over medium low heat. Stirring constantly until barely simmering. 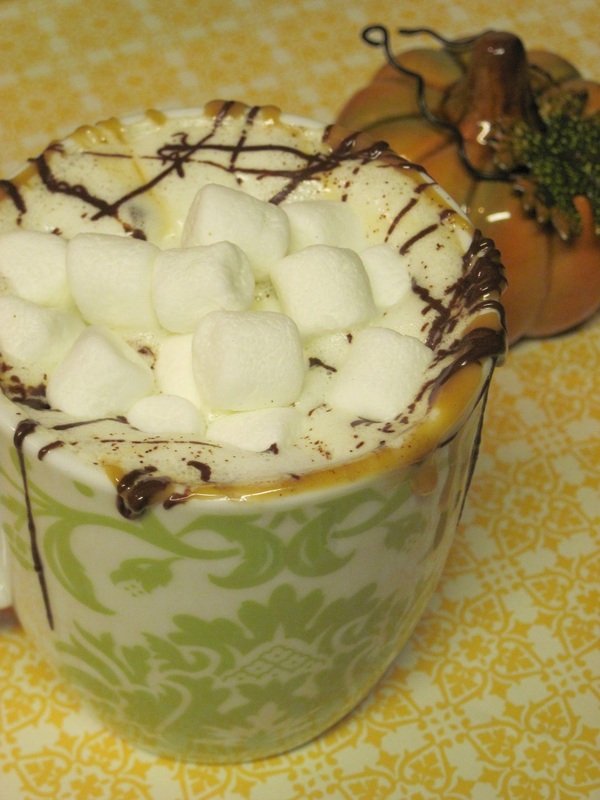 Top with any combo of fresh whipped cream, marshmallows, caramel, chocolate or cinnamon. * White chocolate can be a bit too sweet to my taste buds, however if you like things super sweet, add more white chocolate chips.